Napoli is easy to like in the late spring when Capri sparkles in the distance and you can take an easy trip to Marechiaro for a mid afternoon dip in the sea. This week, however, Southern Italy is experiencing an insufferable cold snap and it seems that Neapolitans are at a loss as to what to do with themselves. I don’t mean a little chill in the air that New Englanders might dismiss as positively balmy. It has been legitimately cold in Naples. Fountains have frozen over, street hawkers are in hibernation and our labyrinthine streets are generally empty, aside from the morning markets in Pignasecca and Antignano where housewives may briefly venture because God forbid we all go hungry. The near constant urban din, a mixture of congenial shouting, singing and accordion playing has settled into a disturbing silence, a sound to which I am not entirely accustomed in Naples. To be sure, this is a LOUD town. 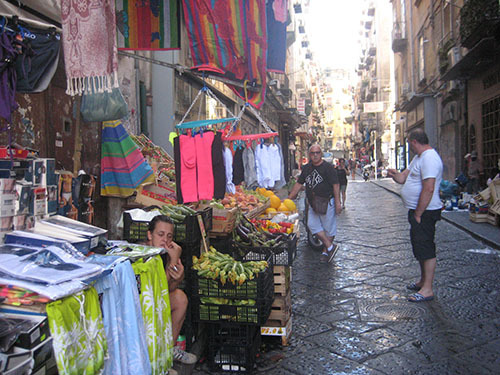 Whether in the hilltop Vomero or the historic center, Napoli is noisy. From the window off of my vicolo, often considered a quiet spot by Neapolitan standards, I hear rancorous domestic disputes (usually an angry wife ripping her husband a new you know what), backfiring scooters, singing salesmen and most inexplicably, the same man who shouts at precisely 3:15 every afternoon “PEPPINO!” Not even he has been around to call on his hidden Peppino. And I wonder, where did all of these people go? 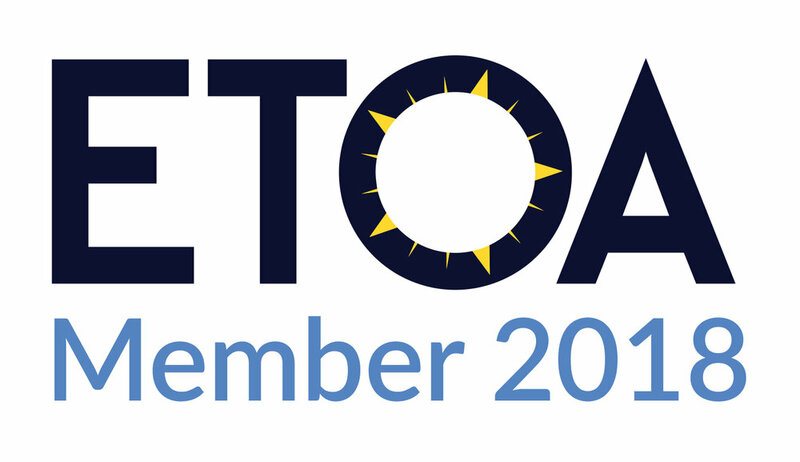 Perhaps some of them are playing Tombola, a Neapolitan version of bingo that is popular here in the winter. Our neighborhood Pasticceria has been particularly full of old men seeking to get away from their wives in the late afternoon. They drink anice, kvetch about the crazy women at home and idly smoke MS Rosso cigarettes inside the bakery. The owner ignores this infraction because even he is willing to acknowledge it is simply too cold to smoke outside. You can almost smell the change in temperature as families retreat into their often nearly subterranean homes to cook ragùs and Genoveses. Life is lived so very publically here in Naples. This is a town where we hang our dirty laundry out to dry and often we live so close together we can deduce whose daughters have gotten knocked up out of wedlock (that’s easy because it usually means somebody is having a WINTER wedding) and who owes the neighborhood salumeria 4 euro for pancetta he failed to pay for last week. Merely descending down the famous staircases from the Vomero into alternately Chiaia (Calata San Francesco) or the historic center (Pedamentina San Martino), you can peak into people’s homes observing not only what they are having for Sunday lunch but what they are watching on TV and whether or not they have made their beds. The lines between domestic and public lives are disquietingly blurred here, which often causes many Northern Italians and foreigners to simply flee in frustration. Any demographer can tell you that Naples is densely populated and any Neapolitan can tell you we love knowing everything about everybody’s business. There have been times when I wish to have a modicum of privacy. I am certain the mechanic who shares a wall with us has heard me colorfully telling my husband to go fly a kite and to stop leaving his dirty boxer briefs in a pile on the floor. Alternately the same mechanic has likely heard Giuseppe screaming at me to stop putting so many god*mn throw pillows on the bed. Such is life in Napoli. And for that reason, I hope it starts warming up here posthaste so I can go on living my private life publically. It is comforting knowing that one is never really alone here. As for gossip, we all adhere to a distinctly Neapolitan game of mutually assured destruction, because whatever dirt you’ve got on me, you can rest assured I’ve got it on you. At least we all know that we are in good company. 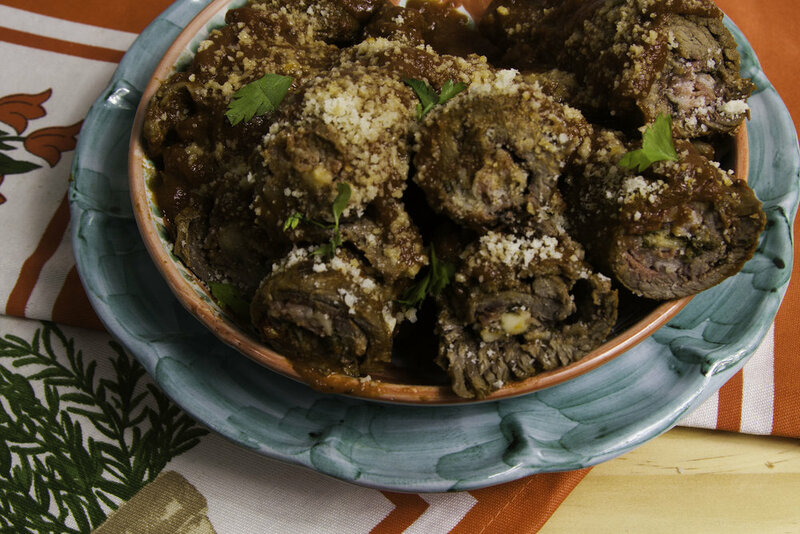 Braciole, a dish of braised meat rolls, is typically served on Sundays. It is essentially two dishes in one with the residual red sauce tossed in rigatoni or penne to serve as a primo and the meat rolls served as a secondo. It bears noting that in the North, braciole is a grilled pork chop. In Napoli, braciole universally refers to a thin cutlet of beef stuffed with garlic, parsley, pine nuts, raisins, strutto (lard) and Parmesan and then slowly braised in a tomato sauce. I have seen this dish stuffed with breadcrumbs in the United States, which I consider both foolish and sacrilege but to each his own. Pound each filet as thin as you can get it without breaking it into meat shards. (My friendly neighborhood bar owner just shared with me that once he was unable to find his meat pounder so he covered each filet with wax paper and ran over them with his car. If my car weren’t so snuggly parked in our vicoletto, I might actually be inclined to try this method). Generously rub salt and pepper into each side of the beef. Arrange parsley, garlic, pine nuts, raisins, pancetta and Parmesan in little bowls or piles. Place parsley, garlic pine nuts, raisins, pancetta and Parmesan in the center of each filet. Depending on preference you can serve the pasta with braciole or you can reheat the beef later and serve the braciole separately as a secondo as we do in Napoli.